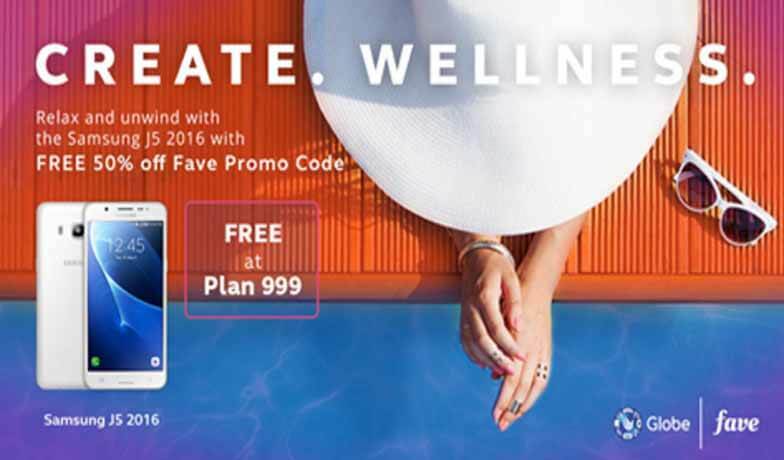 Globe now offer Samsung Galaxy J5 on their myLifestyle postpaid plan phone lineup, for only 999 pesos monthly you’ll the device for free. This 2016 variant of J5 is a Globe Online Shop exclusive offer where you can also get 50 percent discount on any Fave Salon, spa and gym partners. Samsung Galaxy J5 2016 has a bigger AMOLED screen of 5.2 inches, best for viewing, browsing and even gaming as it runs on a quad core processor. You can also take good quality photos using its 13 megapixels rear camera and 5MP on front for video calling and selfie shots. Application is simple and easy, all you need to do is submit or attached requirements like valid ID’s and you’re subject to avail on this plan. With only 999 pesos monthly you can own a new Samsung Galaxy J5 bundled with internet data, unlimited call and text, free app of your choice, gadget care and more. Check out the details below to what more you can get with these plans. This device is also offered in Plan 599 with 4,800 pesos cash out and free from plan 999, 1499 and higher. If you need more details regarding this plan, you can always visit Globe Store nearest you to or call their hotline and ask for assistance.